In the United States, a healthy pregnancy is now defined well before pregnancy begins. Public health messages encourage women of reproductive age to anticipate motherhood and prepare their bodies for healthy reproduction—even when pregnancy is not on the horizon. Some experts believe that this pre-pregnancy care model will reduce risk and ensure better birth outcomes than the prenatal care model. Others believe it represents yet another attempt to control women’s bodies. The Zero Trimester explores why the task of perfecting pregnancies now takes up a woman’s entire reproductive life, from menarche to menopause. Miranda R. Waggoner shows how the zero trimester rose alongside shifts in medical and public health priorities, contentious reproductive politics, and the changing realities of women’s lives in the twenty-first century. 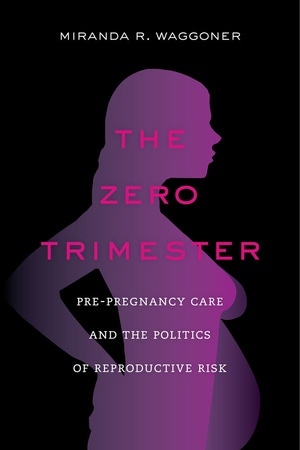 Waggoner argues that the emergence of the zero trimester is not simply related to medical and health concerns; it also reflects the power of culture and social ideologies to shape both population health imperatives and women’s bodily experiences. Miranda R. Waggoner is Assistant Professor of Sociology at Florida State University.